Yards are getting smaller in many new home communities, but there’s still plenty of room for swing sets, cookouts with the neighbors and even a swimming pool. Those amenities aren’t behind a fence in someone’s backyard. They are a short walk away where everyone in the community can enjoy them. 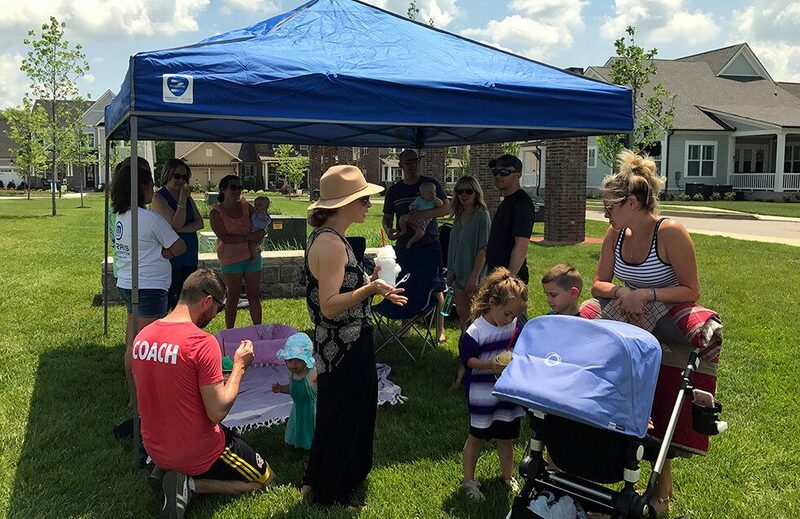 Some of Sumner County’s most popular neighborhoods feature amenities designed to bring neighbors together, encourage physical fitness or just relax. They include community parks, walking trails, pools, fitness centers and playgrounds. Other neighborhoods are close to greenways, golf courses or Old Hickory Lake. “​Green spaces play a special role in the community. Many times green spaces become the social hub for neighbors and families to gather both formally and informally,” said Suzanne Maddalon, vice president of marketing at Freehold Communities, the company that developed Durham Farms. “They also become locations for community activities and events to take place. Great communities have both highly programmed spaces, such as amenity centers and tot lots, as well as passive spaces like fields and trails,” she said. Durham Farms, located on Drakes Creek Road between Vietnam Veterans Boulevard and Long Hollow Pike, features a clubhouse, miles of paved trails, parks, a fitness center, a pool and The Hub, a gathering place with coffee shop-style café. The neighborhood also has a lifestyle director who plans a year-round calendar of activities and events. Green spaces are part of healthy communities, said Maddalon. “At Durham Farms, our green spaces are carefully designed to promote healthy everyday living, and they serve as communal settings for the myriad of community activities that create connected, vibrant, neighborhoods,” she said.